I've not been blogging much recently because to be honest with you I've not really got a lot to say. Life is just plodding on as normal and I am enjoying the fact that summer has arrived. But whilst staring at a blank page thinking about what to write I remembered that this blog is apparently all about the photos! Therefore please excuse me if I just show you some photos I love without too much chit chat to accompany it. Let's start with this one that I took yesterday. I love it. 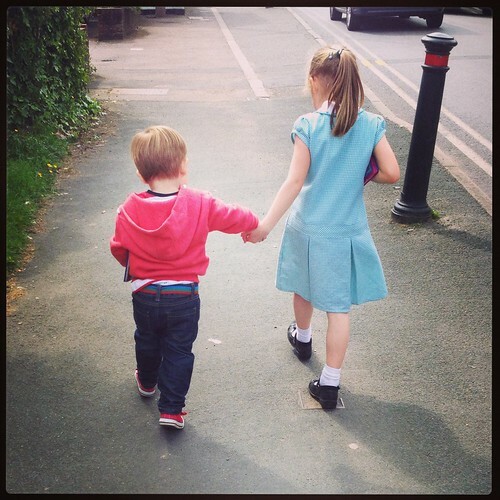 It's impossible to watch my kids walking hand in hand together without taking a picture.